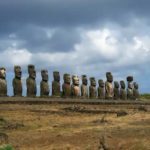 Australia, the largest island in the Pacific, was named the fifth continent. Its fauna is unique. 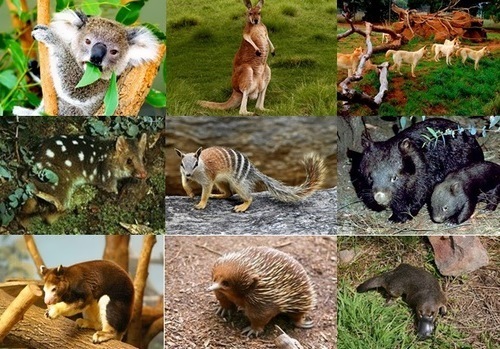 Most Australian animals are marsupial mammals. Their young are born very tiny – no longer than one or one and a half centimeters, completely blind and without hair. Immediately after birth, they move into a bag. 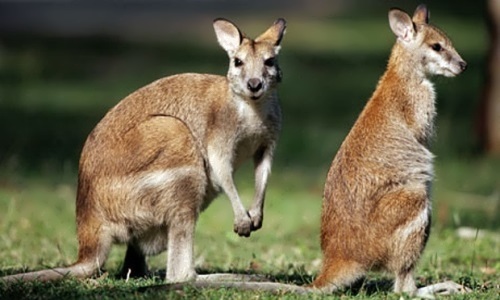 Wallabies are from the kangaroo family. 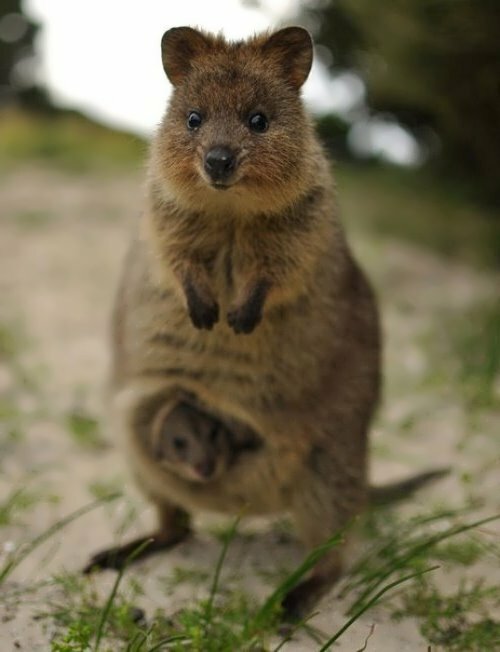 They get around by hopping and they raise the young in a pouch. Farmers often kill them because they want to save the grass for their sheep. Wallabies have also been killed for their fur. This creature is often called a Koala “bear”. It is not a bear! It is a marsupial, like kangaroos, raising its young in a pouch. The Koala is a plant eater, and almost all of its diet is made up of the leaves of eucalyptus trees. 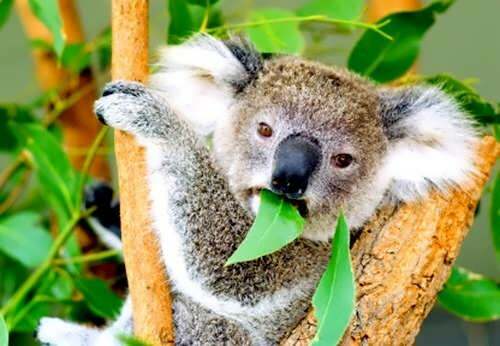 These leaves are poisonous, but the Koala has special substances in its stomach that neutralize the poison. 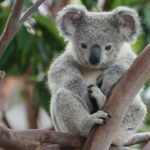 “Koala” in the language of the tribes of New South Wales means “do not drink” – all the necessary moisture koala receives from the leaves of eucalyptus leaves. 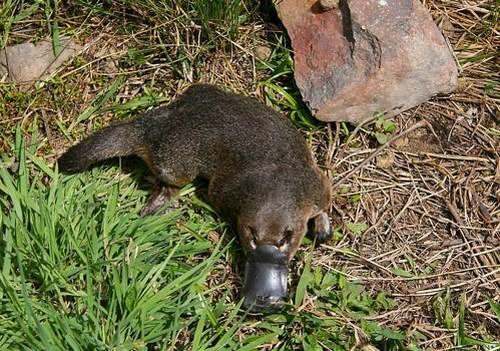 The platypus is often seen in eastern Australia. 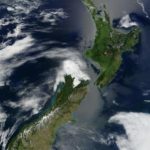 In Tasmania the platypus is common in the lakes of the Central Highlands, and in rivers and streams of the south, southwest and northwest coasts. Platypus is not fast and prefers slow streams. It lives in a burrow on the banks. 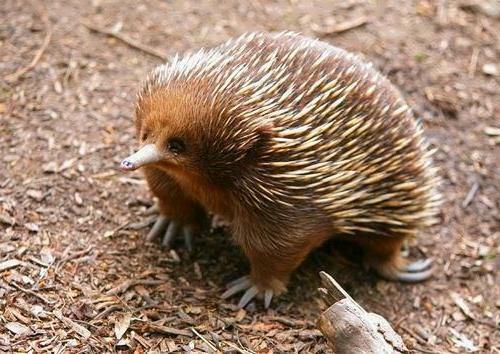 At first glance echidna looks like a hedgehog, but in reality it is very different from it. Echidnas are 30—45 cm long and weigh 2—5 kg. The body, face and legs, is covered with cream colored spines. These spines, which reach 50 mm in length, are in fact modified hairs. 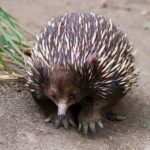 The fur of the Tasmanian species is thicker and longer than that of echidnas in warmer areas and often looks like the spines. The female lays one egg and bears it in a bag. 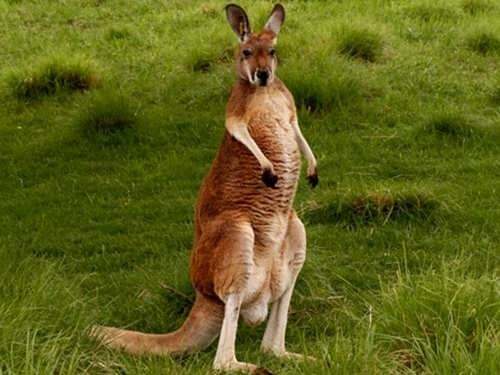 The Red Kangaroo travels in groups and feeds mainly on grass. It can speed along at 35 miles per hour, jump 10 feet high, and leap 30 feet. A baby kangaroo is born only about the size of a coin. It stays in his mother’s pouch for 8 months. Young kangaroos will return to their mothers pouch even after they are old enough to feed on their own. 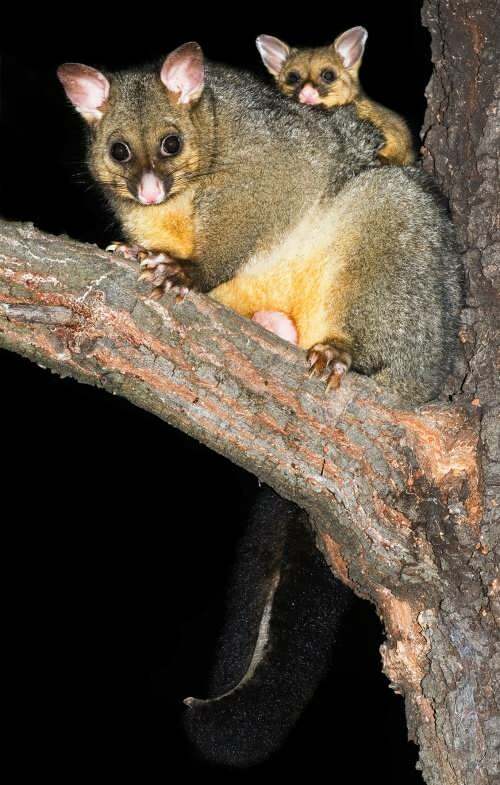 Brushtail possums are nocturnal marsupial animals that live mostly in trees. It feeds on leaves, flowers and bark, and bird eggs. Often these animals live near people, forming numerous and noisy colonies. 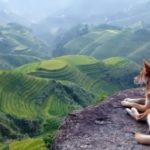 Australian Wild Dog Dingo is considered one of the oldest breeds in the world. It has some features of both the wolf and the domestic dog. Dingo has a strong muscular body, sharp snout, short ears and a bushy tail. 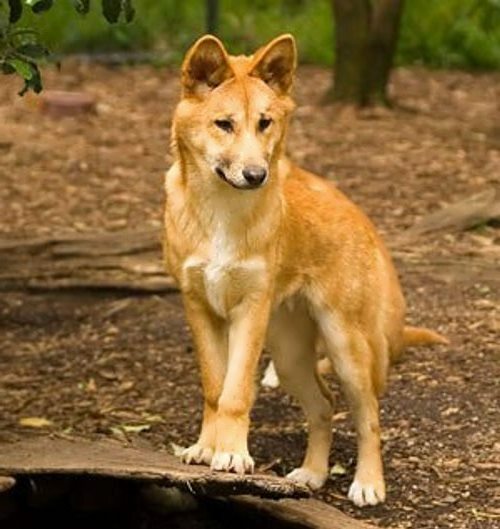 Australian Dingo dog is considered a dangerous beast. It is prohibited to keep it as a pet in Australia. There were cases when dingoes attacked people. 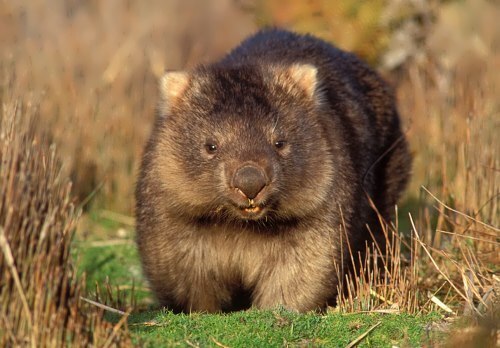 Wombat lives in southern Australia. It digs deep holes and eats roots, leaves and mushrooms. 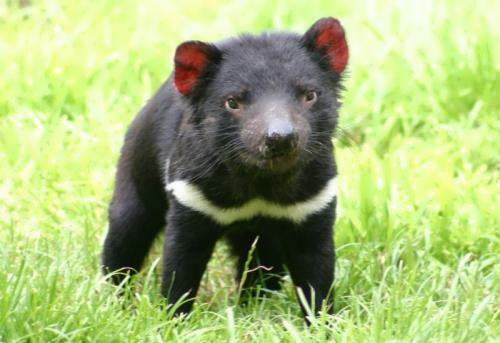 Tasmanian devil lives only in Tasmania. This predator spends the day in thickets of bushes, and at night goes hunting. 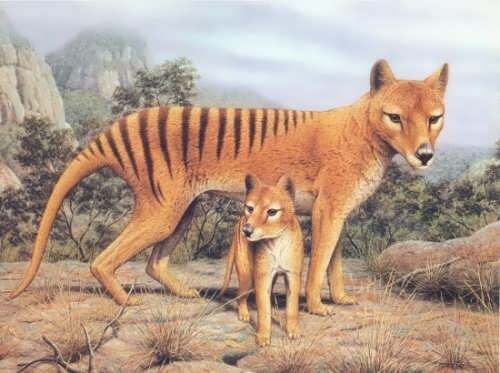 Tilatsin, or Tasmanian tiger, is a rare marsupial predator. They lived throughout Australia but by the early 40s of the 20th century tilatsins were completely destroyed. 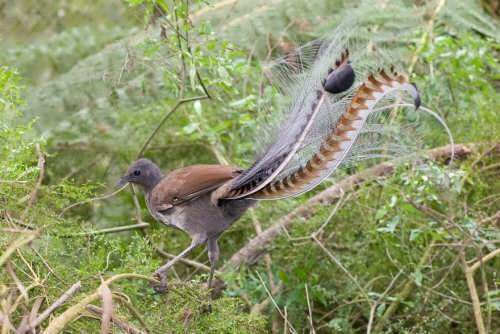 The lyrebird is one of the most elegant and graceful Australian birds. It often sings its own song but it can imitate different sounds too. It can sound like a squeaky wheel or a piano or a baby’s cry! Unfortunately, many other beautiful Australian birds have got unpleasant voices! 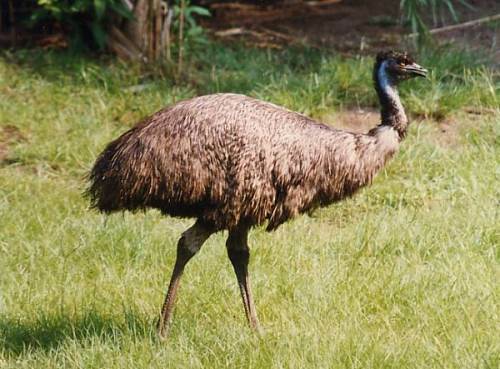 Emu is an Australian ostrich. It lives in large herds that are constantly on the move in search of food and water. The female emu lays large green eggs. – Jellyfish is one of the most deadly animals in the world. They can be found near the Great coral reefs and have extremely potent venom. 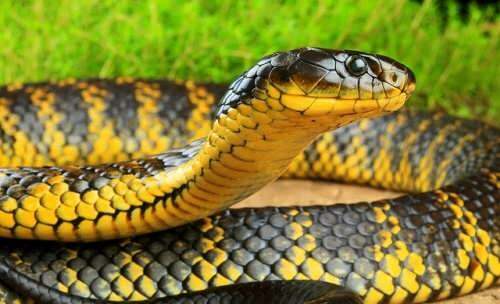 – Taipan is a big, fast and very poisonous snake, which lives throughout Australia. It has the most toxic venom of all snakes in the world. – Saltwater crocodile is the largest member of the crocodiles and reptiles. It can grow up to 18 feet (5.45 m) in length, and often live in Thailand, Vietnam and the north of Australia. There are cases when they attack the adult buffalo, and often attack people. 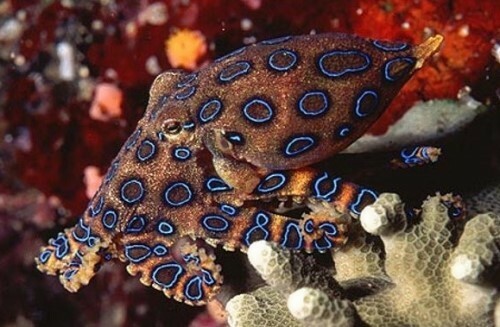 – The blue-ringed octopus is one of the most toxic marine creatures in the world. 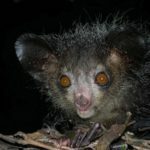 It lives in Australia, New Guinea, Indonesia and the Philippines. – Stone fish is known as the most venomous fish in the world. It lives at the bottom of the reef. – Red striped spider lives throughout the continent of Australia and is the most well-known deadly spider. 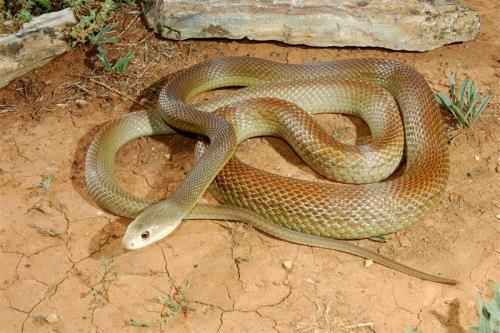 – Brown snake is known as one of Australia’s deadliest creatures. – Tiger snake is one of many poisonous snakes living in Australia, especially in the southern regions. – White shark is a very large shark known as white death. They live on the south coast of Australia. 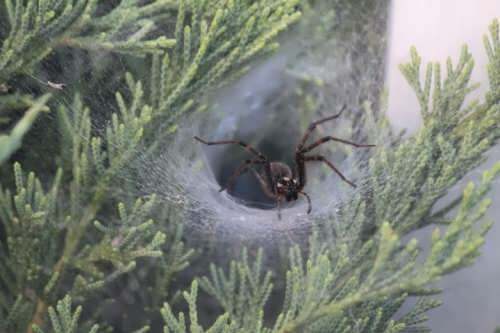 – Funnel Web Spider has poisonous glands that can even penetrate your nails and shoes. They can be found on the east coast of Australia, New South Wales, Victoria and Queensland.